Alberto Jorge Zacarias is an APOPO Mine Detection Rat (MDR) supervisor. 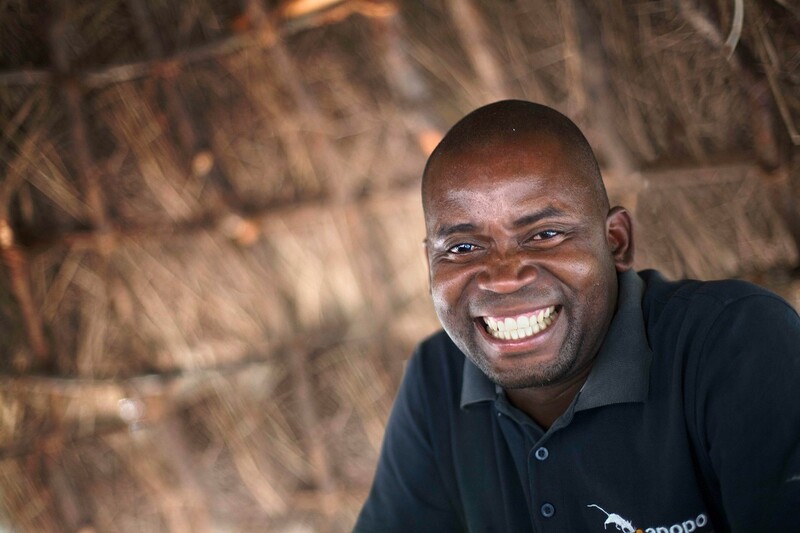 "I joined APOPO in 2006 and worked as a deminer for 2 years. Before this I had worked with NPA as a deminer, researcher and dog trainer. At that time the HeroRATs were not yet deployed. We cleared landmines with metal detectors. Now I spend my time between Angola and Mozambique, making sure the rats remain effective and are well cared for. When I joined the APOPO, the Mine Detection Rat (MDR) team was in its early stages and I travelled to Morogoro in Tanzania to meet the rats and learn how to work with them in mine clearance. I was amazed. I learned all the theory and technology behind the rats activities as well as how to train them using different techniques. I also learned basic veterinary skills and how to make sure they remain accurate once out in the field finding landmines without getting banana rewards. We do this by setting aside one training day a week to refresh their abilities using rewards as we know where the landmines are on the training field. Before the MDRs are allowed back on the minefield we retest them. The rats are something else! They are so fast and accurate. They have many other advantages too such as being too light to set off the landmines, which is much safer for everyone not just them. Also they are non bond-forming, unlike dogs. This means that they can be trained in Tanzania and then deployed to wherever APOPO works and carry on with new trainers without any loss of time. It works the other way round too. It costs 6000 Euros and 9 months to train a rat so they are considered a highly tuned asset. This means they need to be kept in very good health. We are careful with food and exercise and also the heat, which can really affect them. APOPO uses different techniques to rid the land of mines, of which rats are only one. Firstly we define if the land is suspicious or not through a survey. This means we look at old records and consult local communities who often know where the mines are. Sadly, many of the people who placed the mines in the first place are gone or the records out of date or inaccurate. Once we have decided an area may contain landmines, we then send in machines which clear all the brush from the land and prepare it for deminers and the rats. The area is divided into rectangular zones of around ten by twenty meters. Two rats test each zone by running up and down, guided by a rat handler at either side. When the rats smell explosives, they make an indication by scratching on the surface, then they just carry on! But one of their handlers makes a marking of where the rat indication is. Then a human ‘deminer’ with a metal detector arrives to test whether there really is a mine or not. They have to slowly walk towards the indicated place and test the ground, step by step with the metal detector. Each time the metal detector makes a signal, it has to be carefully investigated. Often it is an old bit of scrap metal, like a bolt or a coin. This is called ‘metal contamination’. But occasionally it is a landmine. Once a landmine has actually been found, we take away the rats and use deminers to follow the ‘pattern’ that landmines are usually laid in. Perhaps they are a ‘chain’ of mines, like a barrier, or perhaps they are surrounding a structure like a power pylon, to defend it from sabotage. When the metal detectors find no more mines near the last one identified, the rats go back and begin searching large areas much faster than the metal detectors. The reason that rats are so much faster than the human deminers is because they only stop when they smell explosives. They ignore all the scrap metal. Though sometimes they make an indication on something that is not a mine, they never miss the mines themselves. Better safe than sorry. Anyway, they are always tested by the authorities before we start and we regularly retest them. The rats are amazing! The work that APOPO does is very impressive. They have given many communities back their land and over the years they have employed many people. One way or another it has been a great boost to the development of the economy. In 2015 I was very proud that Mozambique was declared free of landmines because of my team’s hard work in the country. Now it can get back on its feet and start developing like it should have 30 years ago."